Australia’s beef cattle breed, the Murray Grey, originated in the upper Murray Valley on the New South Wales/Victorian border. From humble beginnings the breed has become a major force in the domestic and international beef industry. The breed has spread from Thologolong throughout Australia and to New Zealand, Asia, North America and Europe. The first grey calves were born at the Sutherland family’s Thologolong property in the early years of the 20th Century. But they were not always as popular as they are today. 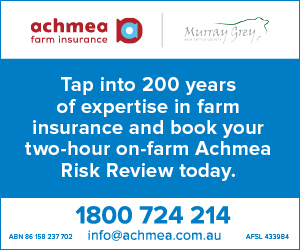 The first Murray Greys were bred by chance and were an embarrassment when they appeared in a herd of black Angus cattle in the upper Murray River Valley in 1905. It became apparent however, that these odd cattle grew quickly, were superior converters of feed and possessed carcase merit. Local cattlemen were attracted by the Grey’s size and appearance and began developing the breed. By the early 1960’s several breeders were successfully breeding commercial Murray Greys. As befits a modern breed, Murray Greys are efficient for the producer. They are equally at home in the paddock, on grass or in feedlots. They are able to satisfy a variety of markets, both domestic and export. 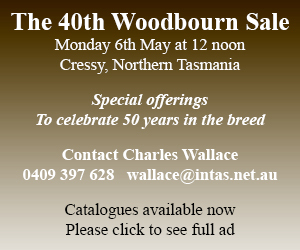 Murray Greys carry the genetics to produce marbled beef without excess subcutaneous or inter-muscular seam fat. This is vital for export to Japan and other Asia markets. Supermarkets and butchers prefer Murray Grey beef as its consistent quality and tenderness can be relied upon. It provides the “right sized” serves for today’s family home meal and restaurant trade. Murray Greys dominate Taste Test competitions. Their success in carcase competitions is legendary. 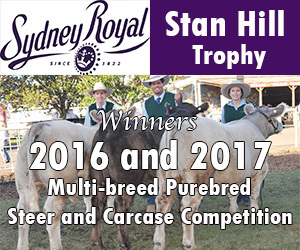 Over the past decade, Murray Grey steers and carcases have won every major commercial competition in Australia. 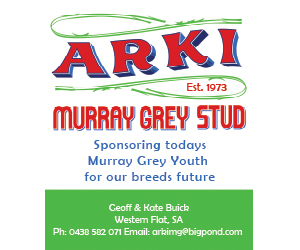 In fact Murray Greys have become the most successful breed in Australian inter-breed steer and carcase competitions. Varying in colour from dark grey to a silver, the Greys are natural polls and are noted for their docile temperament. From their Angus ancestors, they inherited dark skin pigmentation and are not susceptible to skin or eye problems in severe climates. They have proved adaptable to most climatic conditions. Murray Greys are easy care cattle. They calve easily, the females milk well, they grow quickly, they readily convert grass to beef, they fatten on grass, they finish economically in feedlots and they have high yields of sale-able beef. The demanding overseas markets such as Japan and Korea have identified Murray Greys as a preferred breed, both for live imports and as carcases, because of the breed’s economical performance in feedlots and the outstanding quality of the carcases. Furthermore, the Murray Grey is an excellent cross with Bos Indicus, British or European breeds. The Murray Grey attributes of easy calving, docility, marbling, fertility and carcase quality are all evident in the cross bred progeny. 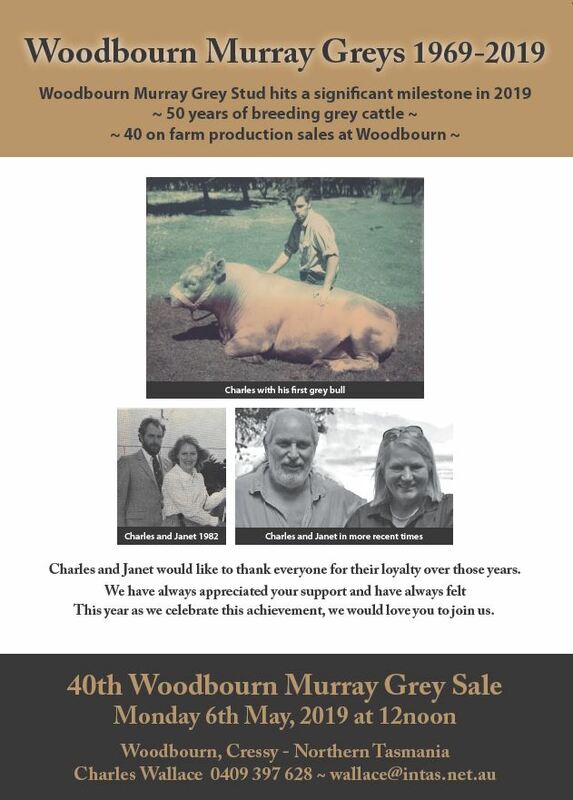 For you to receive these benefits, all you need is a Murray Grey bull. The Murray Grey was developed by Australians for Australian conditions. The breed has what it takes to compete world-wide off grass or in feedlots. 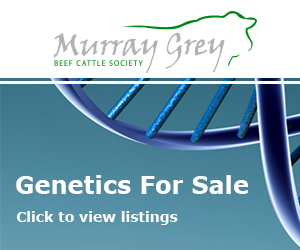 The Murray Grey Society also provides you with information on our current genetic evaluation system – BREEDPLAN.